CW Supreme in diguise. 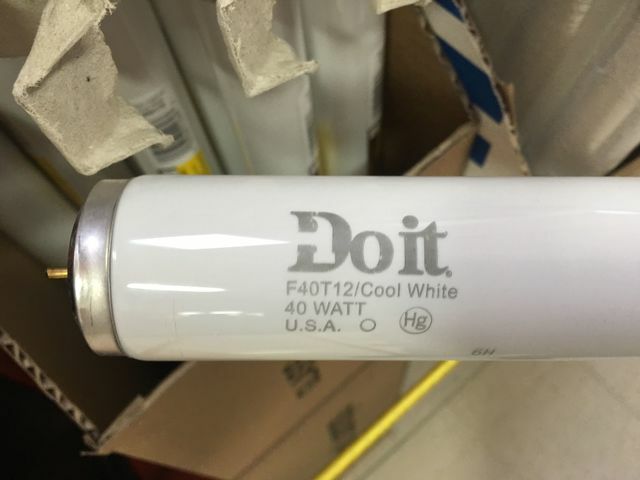 Do-It Best fluorescent lamps were made by GE until last year. I wonder if True Value will also switch to Philips? I've actually seen some Value-Bright fluorescents made by Philips and Sylvania, currently they're made by GE. I thought Value-Bright was done and gone, now it's "Westpointe" for True Value's light bulb brand? Yeah, but the fluorescents are marked as true value. Dave; that's right, come to think of it! It's also good to see lamps with private labeling.